Recently, the light bulb aisle has changed from 90% incandescents and 10% LEDs and fluorescents to 90% LEDs and 10% fluorescents. People who look for their old familiar incandescents soon realize that they’re almost impossible to find. This is because of a law made effective in 2014 that dictates that incandescents can only be produced if they are made significantly more energy-efficient – which is really hard to accomplish. No matter who you are, money is something that you think about daily. Due to their energy-efficiency, it costs you about 80% less to light an area with LEDs than with incandescents. LED bulbs, therefore, will save you a significant amount of money each year. Since LEDs use around 75% less energy than incandescents, they significantly reduce your impact on the environment. That’s 75% less coal used and 75% less CO2 emitted into the atmosphere every day. Not only that, but LED lights don’t contain mercury vapor like fluorescents do. Mercury vapor is toxic to the environment and to anyone breathing it. Plus – unlike incandescent and fluorescent bulbs – LED bulbs are 100% recyclable. The main thing that makes LED bulbs more energy-efficient than other bulbs is that LEDs release almost no ultraviolet or infrared rays. Incandescent bulbs only convert about 10% of the energy they use into visible light, which means that 90% of their energy use goes to waste. The reduced UV and IR rays also has another great benefit – reduced heat emission. This means that LED bulbs have a much lower risk of causing burns when they’re touched. In addition, they won’t damage sensitive paintings or delicate landscape elements that they’re lighting. LED lights have a lifespan of about 30,000-50,000 hours, which is around 30-50 times longer than incandescent bulbs and 3-6 times longer than fluorescent bulbs. Unlike incandescents and fluorescents, LEDs are not made of glass. This means that they’re a lot less likely to break if dropped or impacted. It also means that they’re not susceptible to cracking when exposed to intense vibrations. When used in outdoor lighting applications, they’re much more likely to last through harsh conditions such as heavy rains or snow. Fluorescents have a tendency to dim when exposed to cold temperatures. LEDs, however, work well in any temperature – in fact, they actually run a bit more efficiently in the cold. This means that they work just as well in your freezer as in your living room. You ever noticed that low, annoying hum coming from the ceiling lights? That’s a good indication that they’re fluorescents. LED bulbs can be made into tubes that fit your building’s light casings without giving off that irritating noise. 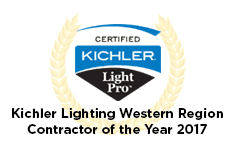 Do you have outdoor lights and want to reduce your energy costs? 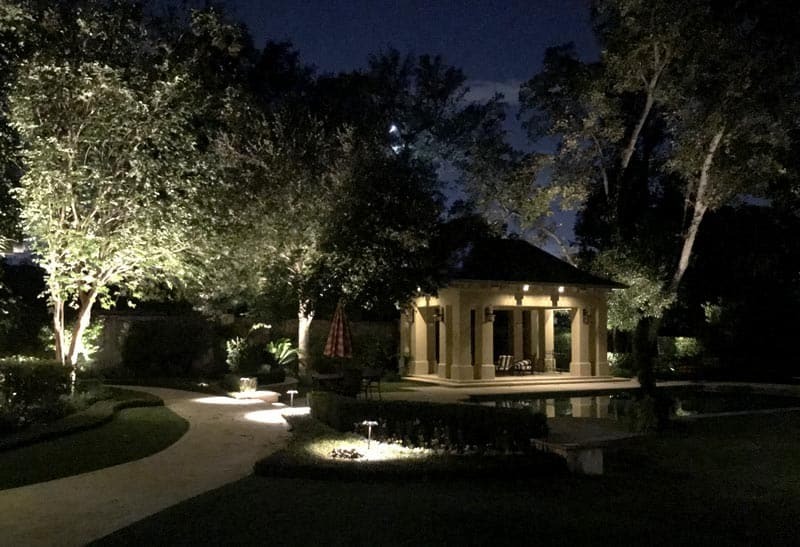 Enhanced Outdoor Lighting & Design can replace your lighting with energy-efficient LED lighting that will make your landscape stand out even better than before.